What are the Top Ten Considerations Before Gambling Online? Many of you keep asking us how to recommend your friends where to gamble and what factors to observe before opening an account. We heard you and of course we are answering your questions. If you’re considering gambling online for the first time, there are a few elements you may want to consider before choosing an online casino. At Palace of Chance Casino, we want to make sure that you’re in the best hands that this growing industry has to offer, even if you might choose another casino. What matters is that your money is safe and that you get the most benefits out of your account. Make a list of your top three online casinos and call their customer service line. Ask how they would pay you if you buy $100 and cash out $300. If their method is a check and they say that it may take more than 4 weeks for you to receive it, reject that casino. UNLESS, this is how long it takes you to send them your cash. Only use casinos that refund your original purchase amount directly back to your credit card or e-wallet within three days, and offer to forward an overnight check or wire transfer to your account. Respectable online casinos should have no less than three types of video poker games. This means that it is a wealthy casino that spends money to offer top software that benefits clients. Good online casinos should have a 24/7 customer service available to you through email or live help. Online casinos must be licensed by a government. Carefully read their list of rules and terms of conditions. This will inform you of their bonuses and cash out procedures. Make sure that you can play for free in your online casino of choice; otherwise, you won’t know how their software works. Investigate the denominations you can bet on poker and slots. There should be a myriad of choices. Test-proof the customer service that these casinos offer. Send them an email or chat live with a representative. Check how long it takes them to reply and what attitude they use towards your requests. Remember, these people will be working for you. Find out how accurately casinos keep track of payouts, purchases and how fast they can access your information. It’s of key importance that you are able to document your transactions. Investigate the software that your casino of preference uses. Research it and find out about their reputation. Are you ready to start gambling online? If you have any questions regarding this post, ask us right away. 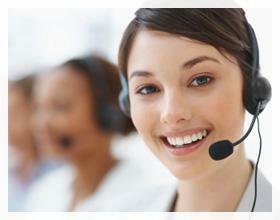 And, if you want to know more about opening an account with Slots of Vegas Casino, contact our customer service line. We’re here to support you!